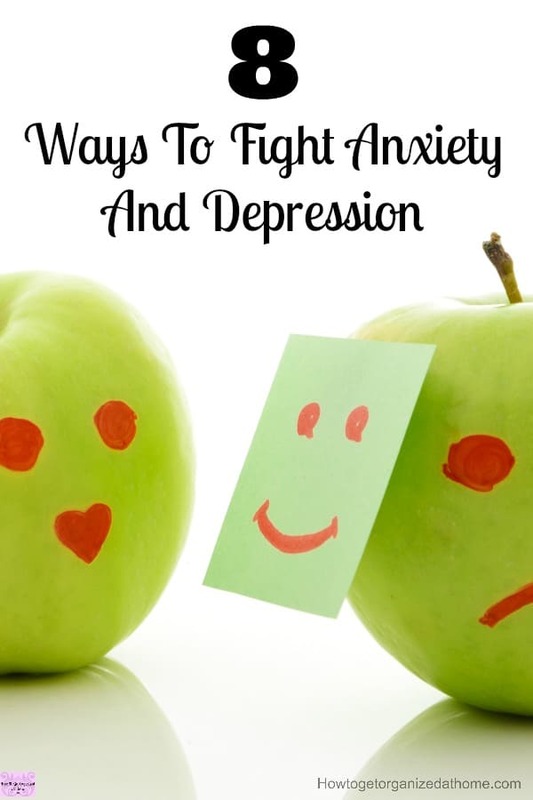 If you are looking to fight anxiety and depression there are many things that you can try that will help you control and manage how you are feeling! Depression and anxiety are serious illnesses that you need to get medical attention for. It is not something to take lightly, it can take a life! Having depression is serious, it is one of those silent illnesses that’s difficult to spot and to understand! The most important step that you can take when it comes to helping yourself fight depression and anxiety is to recognise that there is something wrong! Often, we tend to brush off our own feelings and not take them seriously! Seek medical help and advice. This is a difficult step to take, you have to talk about how you feel. This is difficult, I know I have been there! It is not easy telling someone that you just don’t feel good! Depression is an illness that tends to hide. It can even hide from ourselves, taking a lot to admit that you just don’t feel right can seem like giving up. This isn’t the case, it is seeking the help that you need. Having depression and anxiety is difficult, you can feel a total wreck and yet it is something you can hide behind a fake smile and pretending that everything is OK! 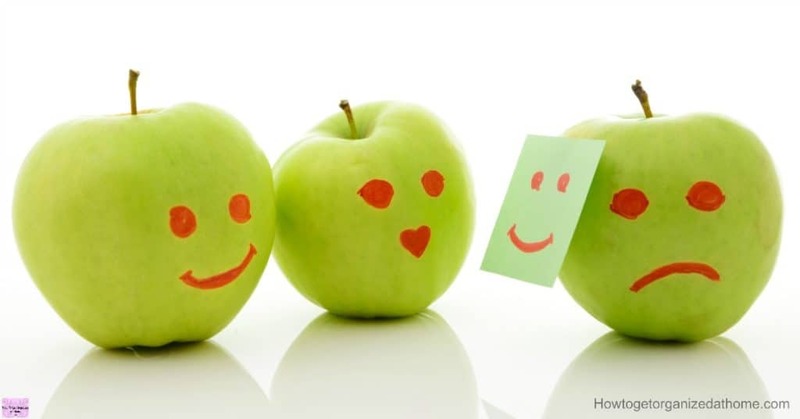 How you feel is important, putting on a happy face is something we all do, but when you are doing this all the time, finding ways to make you feel good is important! Being active sounds impossible when you are feeling down! I know how easy it is to want to curl up and hide from the outside world, however, the more active I am the more in control of my mood and anxiety. The more I hide away and allow my depression and anxiety to have control the less control I have! Rest and relax, it is about taking time for yourself, making your life a priority. You need time to unwind from the stresses of everyday life too! Perfection doesn’t come into it! You don’t have to aim for perfection for everything you do, sometimes good enough is fine! Letting go of perfection is hard! This journey through depression isn’t easy, there are lots of things you begin to learn about yourself that you never thought about before! Being able to ask for help to do tasks that you know won’t be completed the way you like and not redoing the task, takes a lot of time and strength on your part! I have found that planning for events that take me outside the home go a lot smoother if I have had time to make sure I have thought about the event. Actions that are unplanned tend to make me more stressed! Keeping a diary is a great way to help you manage activities and other essential items that you need to do and remember! I have a fear of forgetting something, which is why I like to write things down! This isn’t an easy journey, there will be times when you need to take control of how you feel even if it just means moving forward! Learning how to breathe through a panic attack and to come out the other side is important! Having a place where you can go which is your happy place, a physical or imaginary is fine. It just needs to make you feel good and refreshed! To calm your mind and take back control of how you are feeling! Knowing how to deal with an attack is important, it lets you take back control of a situation rather than it controlling you! Breathing exercises are great to learn, they help you relax and this has a positive impact on how you feel! They can even help when you are trying to sleep! Therefore, if you are feeling that depression or anxiety might be present in your life, it is time to take action. Seek help from a medical profession, you might be surprised at the advice they give you to help you recover and feel better on the inside so you are ready to take on the world! Looking for other depression articles? Why Your Depression Is Not Easy is a great place to start! I have been on anti- depressants for more than 2 years & now I cannot sleep without them, I have tried home remedies and they don’t seem to help. The reason that I am still fighting depression is because my daughter has been on drugs for maybe ten years and is still using them, I have tried all I can, I was even hospitalized 2 years back because of that and about a month ago I realized that she is still using, I was very heartbroken and don’t know what to do. Bless you, Felicity! It is hard dealing with depression and dealing with a child who is making life choices that are not good for her health! Obviously, your daughter is an adult and as such should be making her own decisions! It is hard when our children are making choices that we don’t approve of! You probably need to talk to a professional about how you are feeling and what help you can offer your daughter. 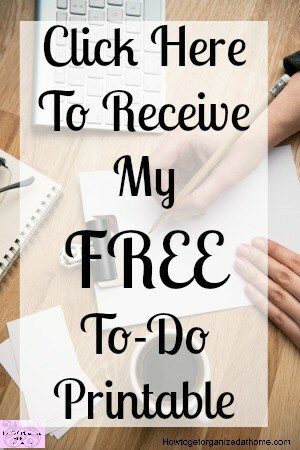 If you need to you can always email me at sharonrowe@howtogetorganizedathome.com!